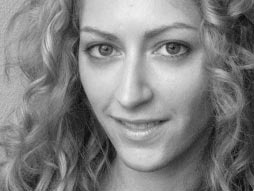 When Jane McGonigal, video game designer, found herself bedridden and suicidal following a severe concussion, she had a fascinating idea for how to get better. She dove into the scientific research and created the healing game, SuperBetter. In her moving, free online TED talk, Jane explains how a game can boost resilience — and promises to add 7.5 minutes to your life, just for watching. Jane also explains how video games shift the Top 5 Regrets of the Dying into a happy, successful and enjoyable—and longer life. Jane found that scientists have been working hard to discover just how some people recover from Trauma and live longer. They haven’t found the magic bullet that determines whether you will develop these strengths or not, but Post Traumatic Growth is dependent on the development of 4 strengths have been developed that are directly opposed to the Top 5 Regrets of the Dying. In her online, free TED talk, Jane McGonigal, explains how she used the principles of video gaming to shift from suicidal to happy and powerful and wants to share this tremendous discovery that will add healthy years to life, without experiencing a trauma. Jane used the format of gaming to create a powerful tool others can use to triumph over trauma and life-threatening diseases, called Superbetter. These resiliences are scientifically validated activities to do every day to build these resilience Jane walks you through it. You will earn the 7.5 bonus minutes of life. You don’t have to experience Trauma, or play video games, but you can increase lifespan and joy – even the video is engaging and humorous. Physical resilience…MOVE…don’t sit still…every single second that you are not sitting still you are actively improving your heart, lungs, and brain. Watch children; they innately know how to stay healthy and you can regain your child like wisdom. Movement is key; every hour just move: get up, walk, wiggle, do anything: just move. Mental resilience…focus, discipline, will power. “Develop mental resilience easily by tackling even a tiny challenge without giving up like snapping your fingers 50 times or counting back from 100 by 7 will build mental resilience,” claims Jane. Calculate your directions in your head for your next journey, a Sudoko game or any small mental task followed to completion, will increase this strength. Don’t give up and you’ll build strength that helps you enjoy life and more success. Emotional resilience…experience positive emotions. Having 3 positive emotions for every one negative emotion during the course of each hour each day will dramatically improve your ability to tackle any problem you are facing. Here is where your spaces can lend a hand…set up your spaces with things that lift your energy and feelings and make you happy. (remove things that don’t, including clutter, disrepair, flesh-eating furniture, colors or items that you don’t love). Instant Feng Shui & emotional resilience: do something as simple as a web image search for: “baby_____ (your favorite animal),” or for “smiling and laughing people/children”, or think of one of your ‘switch’ phrases. Your response shows you have the ability to provoke powerful positive emotions; do this often and you and everyone around you will benefit. Social resilience…more personal strength comes from your friends, social, community, gratitude, touch, trust. “The simple act of connecting with another person, either by sending a text of gratitude or greeting or even shaking someone’s hand for more than 6 seconds dramatically raises the level of Oxytocin in your bloodstream…oxytocin is the trust hormone which in your bloodstream shows you are biochemically primed to like and want to help each other,” says Jane. By regularly boosting these types of resilience, you will live 10 years longer than those who don’t and that also will exponentially increase every time you do one of these 4 things!